Adamo: To Fall in Love With? I Think Not. A very stylish announcement for Dell’s sleek new laptop arrived today featuring a very pouty model-type grasping the laptop with all the strength she has. Maybe she is pouting because someone forced her into an over-the-shoulder zipper sweater and head gear that looks like a renaissance maiden? Or maybe she is pouting because her laptop freezes every time she tries to wake it from sleep mode? Who can tell? The rest of the announcement doesn't shed any light on the pouty mystery but does tell us the inspiration for the new laptop’s name: Adamo, from the Latin meaning ‘to fall in love with.’ This ultrathin smudge-magnet (lots of shiny surfaces) starts at $2,000. All I can say is that my Dell Inspiron (Latin for ‘to inspire with’??) laptop has never been able to go into sleep mode. It can only hibernate. And this has frustrated me to no end. If I put it in sleep mode, it freezes when I try to wake it up. This may seem like a small detail but for me it’s about time and usability. Sleep mode is like waking up someone from a nap, giving her a piece of chocolate and she is good to go. Hibernate mode is like waking up someone from a very deep sleep, throwing him in the shower, making him breakfast and then sending him on his way. And, he is still groggy. I’ve tried everything to address the problem myself for hours at a time and failed. I’m convinced it is not software-related and it’s hardware-related and I feel like Dell should address it. But alas, my service contract has expired and a service representative with the “phone-name” Anita (who really doesn’t sound like an Anita) informs me that there is nothing she can do unless I pony up some cash. I haven’t gone this route because I paid dearly for the laptop originally with the assumption that it should work. So, I’m reduced to taking not-so elegant potshots at their latest offering. Dell, good luck! (from the Latin ‘bonus fortuna’). I was so proud to have identified a plant in our yard as a mint (square stem, opposite leaves) and brought in to class as we were instructed to do for the third class in the Plant Identification course. Well, what a dunderhead I am. As I was showing the instructor the plant, little Miss Smarty Pants (another student) walked by and practically shouted “Oh my gawd, that’s a Class C noxious weed. I HOPE you don’t have that in your garden!” Well, in fact I do and it can be quite pretty growing in deep shade and offering a splash of color. Turns out the plant in the mint family that I brought in, Lamiastrum galeobdolon, is a non-designated Class C noxious weed in King County. Miss Smarty Pants was right. Class C weeds are non-native weeds found in Washington. Programs for suppression and control are optional. That said, after reading through the way to deal with this plant I realized that we have been dealing with it more or less correctly. 1. We haven’t planted near parks or natural areas. 2. We pull the plant and otherwise “contain” it every year. 3. We discard of the cuttings in the “Clean Green” recycling bins. However, I really am thinking of removing it totally considering that impact this plant can have. The genus name “Lamiastrum” I’m guessing means of the Lamiaceae (mint) family. The species name, according the Dave’s Garden means “smells like a weasel”. The common name for this mint is “Yellow Archangel”. Travelmarx recommendations for winter 2009 (now that’s we are officially in spring, right?) 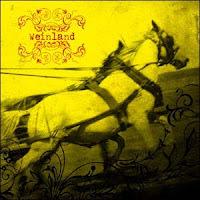 are releases from 2008. Figures. Travelmarx is always running behind schedule. 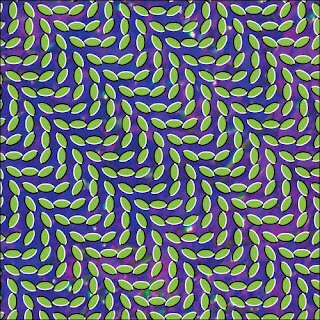 Anyhow, the recommendations are: Animal Collective’s Merriweather Post Pavilion (listen to samples) and the Fleet Foxes’ eponymous debut Fleet Foxes (listen to samples). 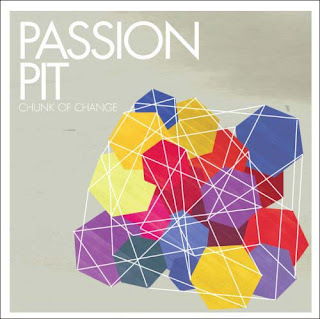 Honorable mention goes to Passion Pit’s Chunk of Change (listen to samples) – how could you not like the tracks Better Things and Sleepyhead (video on YouTube)? What has gotten the most spins at Travelmarx headquarters? Fleet Foxes for sure. Love those harmonies. Check out the video to White Winter Hymnal. 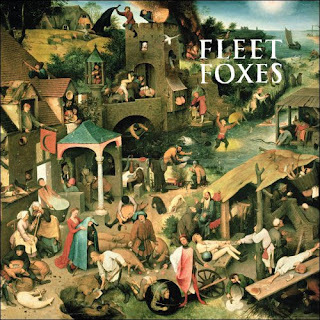 By the way, the cover art for the Fleet Foxes is the Pieter the Elder Brueghel (c. 1525 – 1569) painting Netherlandish Proverbs (1559). Certainly part of the pleasure of Lapham’s Quarterly is the artwork sprinkled in with the writing. 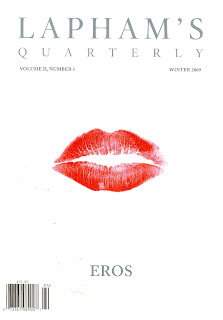 The winter 2009 issue – titled Eros and featuring a lipstick imprint – doesn’t disappoint in this. However, for this issue I found I was perusing rather than going steadily from cover to cover. The writing (while very good of course) didn’t grab me as much as the issue on learning. Perhaps it is the subject matter of Eros or maybe, oh horror, I don’t have the depth to understand this stuff? Nevertheless, a number of pieces did stand out for me. I’ll mention three. The excerpt from George Bataille’s Story of the Eye (1928) was certainly the most provocative and disturbing piece. I’m glad it was only an excerpt – I don’t think I could read the rest. While I read through the piece by Plato (from Symposium) on the satire of Greek origin myths (three sexes) I kept thinking of the animation in the movie Hedwig and the Angry Inch where Hedwig sings the Origin of Love song. Finally, the excerpt from Flannery O’Connor’s short story Good Country People featuring a Bible salesman who makes off with a woman’s artificial leg certainly will be an image that I won’t easily forget. Several years ago we attended an etiquette talk and the one thing we remember from that talk is the 3-3-3 rule: take 3 minutes to write 3 lines no more than 3 days after – or something like that. 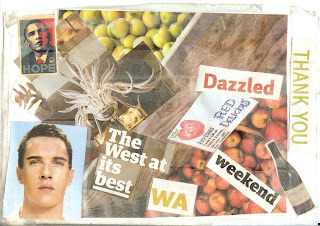 Well, recently we got a thank-you collage which totally blew that rule to bits. It was one of the best thank-yous we’ve ever received. Does one write thank-you notes for thank-you notes? I must admit I knew nothing of these two names three weeks ago. It’s week two of the Plant ID course and we started using C. Leo Hitchcock (1902 – 1986) and Arthur Cronquist (1919-1992)’s Flora of the Pacific Northwest: An Illustrated Manual. 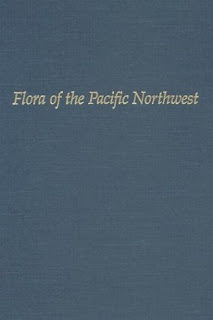 The first edition was published in 1973 and is a condensation of their five-volume work Vascular Plants of the Pacific Northwest published between 1955 and 1969. As one reviewer noted about Flora – it “is not intended for pleasure reading.” I’ll second that. 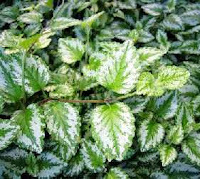 Though, it seems so deceptively easy, just answer the questions and you’ll identify the plant. I went off track so many times. The strategy we used in class is that we first used a family key to identify the plant family, then a genus key and finally a species key. We worked with three plant families: Asteraceae (the sunflower family), Brassicaceae (the mustard family), and Lamiaceae (the mint family). 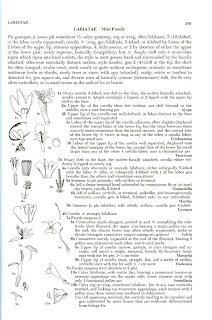 In the class we are actually using the family key in Arnett’s Botanical Primer and then switching over to H&C for the genus and species keys. Included below is an example page from H&C for the mint family just to give an idea of how the dichotomous key works. H&C is laid out phylogenetically, that is, based on how plants evolved. The key to the title of Sarah Vowel’s book The Word Shipmates lies in her statement that the Puritans’ “single-minded obsession with one book, the Bible, made words the center of their lives.” You are probably thinking “oh boy a book about Puritans, another Thanksgiving story”, but, you are wrong because this book is not at all about those Puritans. The main event that Vowel centers on is the Massachusetts Bay colonists’ arrival in 1630. These colonists were not separatists (from England) like their brothers and sisters who arrived in 1620, the Plymouth Bay colonists. (They were the ones that we think about at Thanksgiving.) 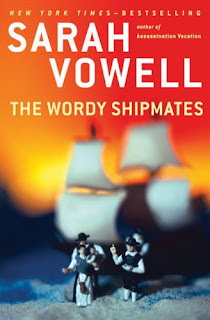 From the starting point of the 1630 arrival, Vowel tells an engaging story involving a relatively small cast of historical characters including: John Winthrop, John Cotton, Roger Williams, the Pequots, the Mohegans, and Anne Hutchinson. Some readers will have problems with Vowel’s chatty approach interspersing historical information with personal anecdotes. Other readers will have problems with her not-so-coddling approach with the subject of religion and God. If you don’t mind either of these two aspects the book will be rewarding because before long (unless you are a major history buff already or a Puritan-studies scholar) you will have a better understanding of why the Puritans left England, what it was like for them in America, and how their ideas are still important today. A case in point is John Winthrop who is a central figure in the The Wordy Shipmates. His 1630 sermon “A Model of Christian Charity” (also referred to as the “City Upon the Hill” sermon) is a theme that Vowel returns to many times in the book. The sermon is part motivation, part warning to the Puritans before leaving England and is considered to be the root of the concept of American exceptionalism. Despite the “we are the chosen and everyone’s eyes will be on us” tone, the sermon as well expresses a strong sense of community interdependence. One famous user of the phrase “city upon a hill” was Ronald Reagan except that it seems he forgot that part about interdependence: “we must delight in each other; make other’s conditions our own”. Addition: After writing this I was flipping throught the Rochester Review and there was an article about Thomas Slaughter, Professor of History, and his ideas about the two traditions of history (and writing about history). The first tradition being that history be practiced scientifically (hypotheses and verfication) and the second tradition being history as a branch of literature. In the latter tradition historians are storytellers with empathy and intuition. I think that Vowel's book falls into the second tradition. This evening I started a six week course (one night a week) on plant identification. The course is offered by the University of Washington Botanical Gardens. 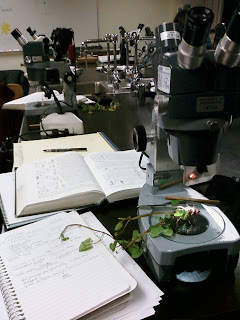 From the course description: “This course is designed for individuals who want to work on field identification skills and gain familiarity with how to use the keys in Hitchcock and Cronquist's Flora of the Pacific Northwest. Sounded pretty interesting, so here I am. Identification keys are the primary tools used to identify unknown plants, and most botanical keys are dichotomous. A dichotomous key is constructed of sets of paired questions, or couplets, that are like a series of forks in the road. At each fork the user has to make a choice, based on the two descriptions that are offered, and go one way or the other. Each choice leads to a set of questions until, eventually, the identity of the unknown species is reached. One great value of dichotomous keys is that they identify the particular characteristics that may be used to distinguish species or groups of species. These diagnostic traits may not always be apparent in illustrations or descriptions. 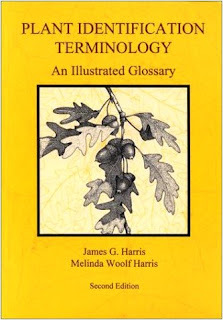 To aid in dealing with the nomenclature we had a couple of handouts that were good and a recommendation for the book Plant Identification Terminology: An Illustrated Glossary by Harris and Harris. I picked this book up and am pleased with it so far. Answers: Calyx refers to the sepals of a flower. Corolla refers to the petals of a flower. Pistil refers to the female reproductive organ of a flower. Stamen refers to the male reproductive organ of a flower. Actinomorphic refers to a flower that is radially symmetric. Zygomorphic refers to a flower that is bilaterally symmetric. Petioles refer to the leaf stalk that attaches a leaf to a stem. Verticil refers to an arrangement of similar parts (like flowers) around a central axis (like a stem). Lenticels are specialized corky outgrowths from the bark of twigs that are passageways for gas exchange. Axil refers to the space between the petiole and stem. 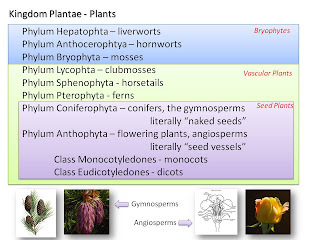 There is a diagram (redrawn and modified below) from Arnett’s primer that was especially helpful for orienting myself to what we are to study in this class: vascular plants. The light show we saw in Fremont was created by Nth Degree Creative. We spent a few minutes chatting with Jeff Silverman, the founder of Nth Degree Creative, and he gave us the low down on how it all came together. It’s obvious he has a passion for light installations/productions. This year’s production was billed as a “mini-event” – read as: the city didn’t fund it and folks did it without any sponsorship. Next year’s event is targeted to be the official inauguration of this, hopefully, annual event. Our fingers are crossed. Last minute we decided to see Neil Halstead at the Triple Door. We are glad we did because it was a great show. About a third of the show was Halstead performing songs solo on guitar and the remainder of the show he was accompanied by a bassist and another guitarist. 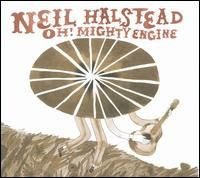 The show set came mostly from Halstead’s two solo albums Sleeping on Roads and Oh! Mighty Engine, but there was at least one Mojave 3 song and one Slowdive song that I could pick up on. Opening the show was Weinland, a band from Portland, that we’d never heard before and were impressed by. 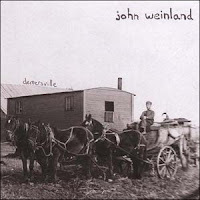 Great songwriting and sound. We purchased two CDs. 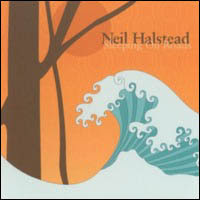 (Sorry Neil, we already have your CDs.) The best part of the evening: we walked out with our hearing intact. Where to start with a review? Hmm, the name is a pun on the Biblical city and rhymes with Camorra. The book at times is very readable and other times it is a jumble of names, places and very interesting view points about the nature of crime that will have your head spinning. At times, I encountered a turn of phrase that no matter how many times I read it I didn’t get it. It could have been poorly translated or the source material was really that obtuse. Of course there are descriptions of killings. More clinical than gory, the descriptions are nonetheless depressing. There is not one happy moment in the book that I can easily recall and if you are looking for a happy ending, forget it. After I finished reading the book I began going back and researching passages I flagged and the depressing news kept on coming. Want to know more about the trash dumps that burn around Naples? Glad you asked, there is a site for that La Terra dei Fuochi. (The trash burns because it is filled with God knows what and much of it from the rich industrialized north.) Or if you want to know about the housing (a generous term) complex called the Vele di Scampi (the wings or sails of Scampi) where some of the book/movie are set, you can read about that as well. And it keeps on going. One thing that became clear to me reading the book (and the author says as much) is that you can remove 10 crime bosses and another 10 will sprout. The “system” is in place because of the demands of us outside the system. Demands for drugs, fashion wear, and places to dispose trash. There is a passage in the Chapter entitled Cement, about the business of building and how profitable that has been for the Camorra, that I’ll repeat verbatim here because I think it describes the heart of the dilemma. The economic power of the Camorra System lies exactly in its continual turnover of leaders and criminal choices. One man’s dictatorship is always brief; if the power of a boss were long-lasting, he would raise prices, create a monopoly, making rigid markets, and keep investing in the same sectors rather than exploring new ones. Instead of adding value to the criminal economy, he would become an obstacle to business. As so, as soon as a boss takes over, others ready to take his place start to emerge, figures eager to expand, to stand on the shoulders of the giants they helped create. Something that the journalist Riccardo Orioles, one of the most astute observers of power dynamics, always remembered: ‘Criminality is not power pure and simple, but one kind of power.’ There will never be a boss who wants a seat in government. If the Camorra had all the power, its business, which is essential to the workings of the legal and illegal scale, would not exist. In this sense every arrest and maxi-trial seems more like a way of replacing caps and breaking business cycles than something capable of destroying a system. It's a strange and sobering choice of words to describe a criminal trial as breaking a business cycle. 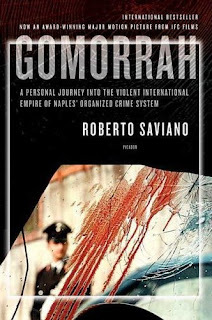 But this is one of the main reasons why I recommend this book: to understand this Italian criminal organization (and really all criminal organizations) from a different viewpoint, namely economic. Finally, a nitpick. 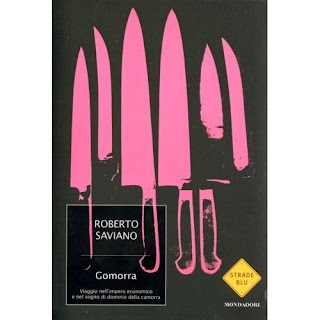 I personally like the Italian version’s cover: it’s an Andy Warhol image of pink knives. The English-language version I purchased has a blood splattered crime photo which was too literal.